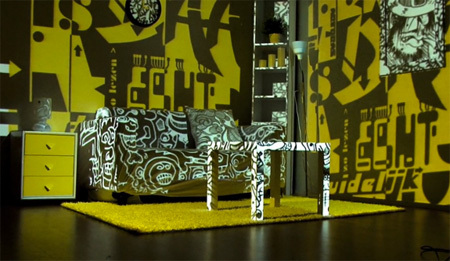 3D projection makes it possible to instantly change the design of a living room. 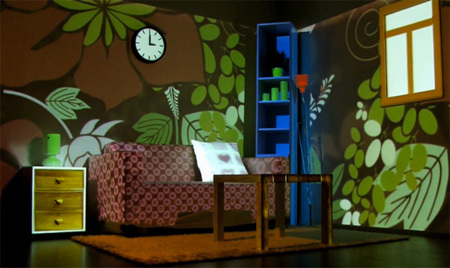 Mr.Beam used three-dimensional mapping and two projectors to control the look of the furniture, wallpapers, and the carpet. This is amazing. 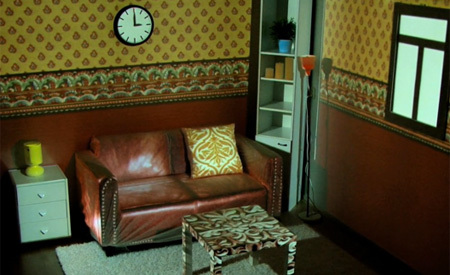 We’d be able to see all the possibilities of a room with this. I wonder how much work it takes to actually map the lighting etc though. 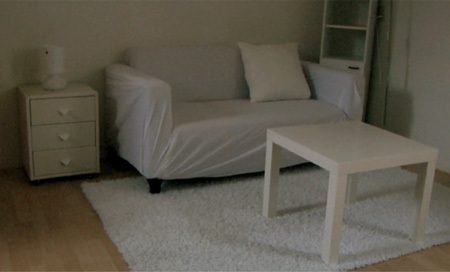 I love the concept but its not very practical becuase you wouldn’t be able to move any of your furniture. Also projectors are usually noisy; especially if it requires two of them! this isnt new, michelle gondry had done this many times in movies and music videos. its still really cool, but unfortunately this isnt new. this is incredible. no matter what anyone says… it’s still quite creative. 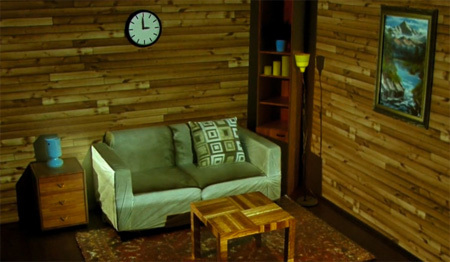 So, if you’re sitting on the couch, will the lights be shining on you?? I don’t entirely understand how this works. Is it like classroom projectors that just shine the light onto the blank canvas? I loved it – having different set up in the room day by day without having to change anything. am just wondering, if i had to go & sit on the sofa, would i have the reflections of the projector light on me?… that would be funny though (and odd). What kind of projectors are they? 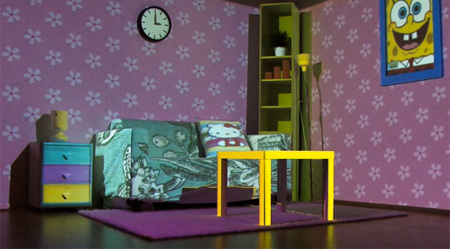 This is meant to be a design, not real furniture. Please understand art. So awesome. Jazzy tunes too! This is such a neat concept! Totally changed the look of the room eh? It would definitely be interesting to see what the concept can evolve into. really cool thing, but it brakes down as soon as some1 enters a room? Very Nice tool for people who work seelling spaces. Its art people! Its cool and fun and neat! It makes look at and appreciate the time and planning and I think it is great! 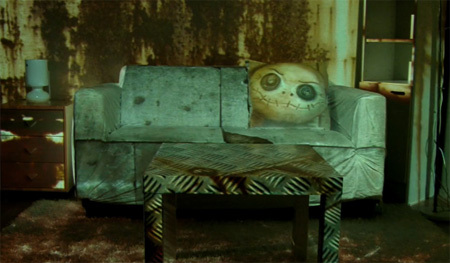 Its not for your living room.. CHRIST.